Every website is unique and although every SEO audit might have some common themes trying to apply a 'one hat fits all approach' will limit the benefits of this critical activity. The best SEO audits also take into account your actual aims and goals. Are you wanting to simply generate a comfortable income from your web presence or looking to build a multi-million dollar business? Is the aim of your site to establish yourself as an expert in a field for reasons other than income? Finally whoever is auditing your site needs to be aware of your resources. There is no point recommending a million dollar PPC campaign if you don't have a million dollars but it might be exactly the right approach for a medium sized business. 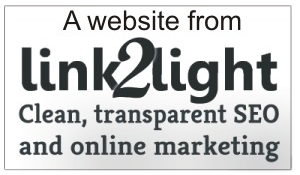 Its for this reason that every SEO audit carried out by link2light is hand produced - it may make the process more expensive but when you are trying to establish what work you will be carrying out over the next few months getting it wrong will cost you dearly in the long run. What are the aims of a SEO audit? Keywords - check if the keywords you are ranking for and/or are hoping to rank for are ones that internet users actually search and are likely to deliver the right visitors to your website. Search Engine relevancy - how clear are your pages to search engines? What are you doing that is confusing them and what could you do to make your content easier from the to read and index? 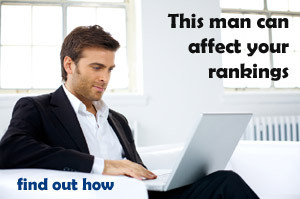 Search engine dings - what are you doing that search engines don't like which could be pushing you down in the rankings. User behaviour analysis - what your current visitors love and hate ... and possible reasons why. Authority - how much authority does your website have around the internet? Where is your brand mentioned and who links to you? Authority opportunities - what can you do to increase your authority on the net via link building or link bait. Indirect SEO opportunities - are there places, such as social media, where you can establish a presence that will bring the right visitors to your website. Beyond SEO - are there platforms you can benefit from that don't rely on SEO. Would you be better off selling on Amazon or would you receive more client enquiries if you had quality listings in respectable directories? The How to SEO guide page Choosing keywords for SEO covers how to check if the keywords you rank for, or are hoping to rank for, will deliver the right visitors. This is critical in a SEO audit because all SEO work rotates around targeting keywords. If you don't know where you want to go with keywords you can't Search Engine Optimize. At the same time if you already have an established site you don't want to be loosing what already benefits you. I've met far too many webmasters who say "Yeah, I know I rank for [keyword X] but I don't think it does me any good" when closer analysis shows Keyword X sends some of the best visitors that the site receives. "Throwing the baby out with the bath water" is a surprisingly common, and expensive, mistake. When someone carries out a search on Google or the like that search engine considers how relevant your website is to that text. If your content or your code makes it difficult for a search engine to read and understand this will immediately affect relevancy. Sorting out content and code is all about on-page SEO as covered step by step in the How to SEO guide. There are plenty of things you can do that make search engines say "nice page but ....". These include page loading times and excessive use of advertisements (especially above the fold). These should not be confused with penalties when a website or part of a website is completely removed from the search results of a search engine. Dings are just negative aspects (as defined by search engines) which will drag your rankings lower than they could otherwise be. A SEO Audit can suggest far reaching changes to a website in the name of pleasing search engines but its also crucial never to loose sight of the real audience - people. It is ultimately people who will link to you, share your content and brand mention you and so it is they who will utimately define your long term success in the search engine rankings. Understanding which parts of the site people engage with best helps in shaping proposals that improve the site for search engines while benefiting humans with knowledge and data that is probably right under your nose! Backlinks - who links to you, how do they link to you, are they respectable websites related to your content? See link building in the How to SEO guide for more on what makes a good link. Brand mentions - on what sort of sites is your brand discussed? How does your brand look on reviews websites? Increasing your authority in the eyes of the search engines is the most powerful way to increase rankings fast and that means getting backlinks from related and respectable sites. Although link building springs to mind for most people here link bait can be of even greater benefit. Content such as knowledge bases, glossaries or in depth articles create items that others will want to link to both now and over the longer term. A good SEO audit should identify what opportunities exist for your site and why. Obviously if you are thinking of a SEO audit then you are thinking that ranking for this or that will make your website a 'success'. A good SEO audit should include a solid consideration of how true that line of thought is. Around 50% of visitors to most websites do not come from search engines like Google. They come from other sources such as social media, paid online advertising, word of mouth recommendations, traditional media such as newspapers and magazines, etc., etc. Many businesses operate successfully via a presence on platforms such as Amazon, Etsy, Google Shopping or Ebay rather than via their own website. They go to the market rather than trying to get the market to come to them. Many service related organisations find gaining clients through respectable directories such as Yellow Pages or Four Square costs much less than trying in vain to compete with those directories. SEO audits that are blinkered to search engine optimization alone ignore the possibilities of far greater benefits that may lie beyond Google, Bing and Yahoo. Your SEO audit should consider all the forms of online marketing available. The cost of a SEO audit will greatly depend on the size of your site but for a website with several content pages, a blog or ecommerce. Find out more at our services page at link2light.